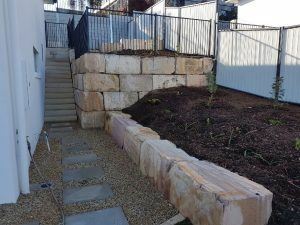 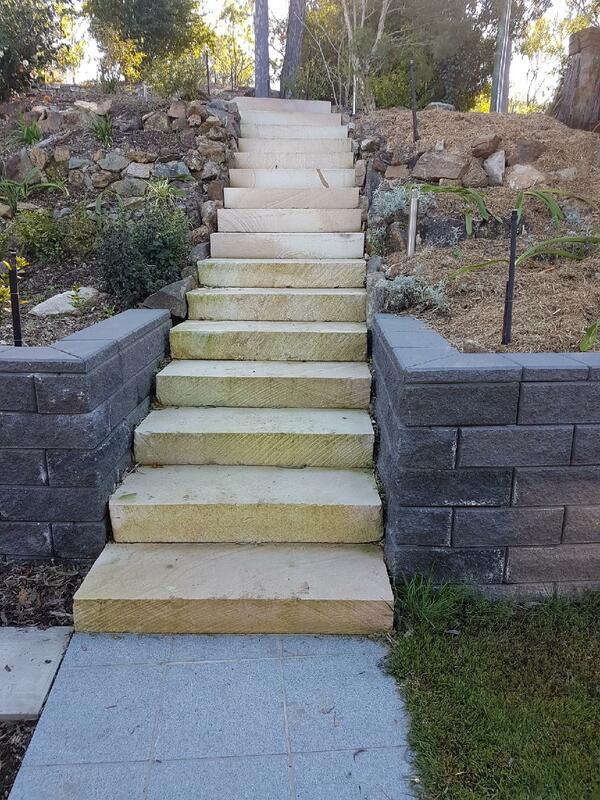 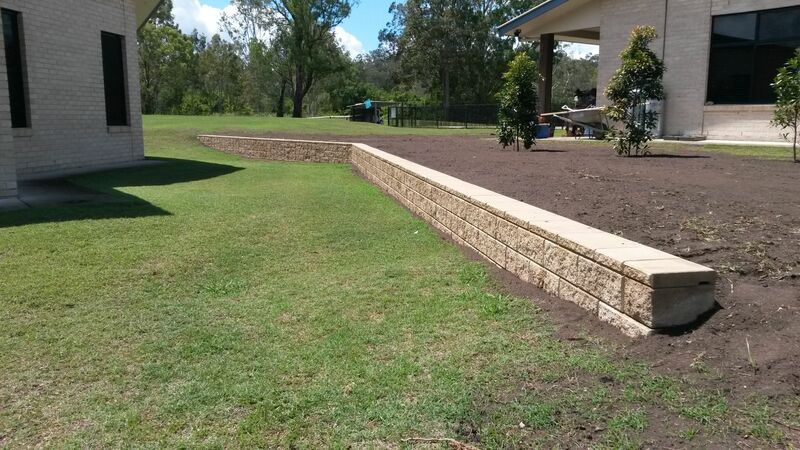 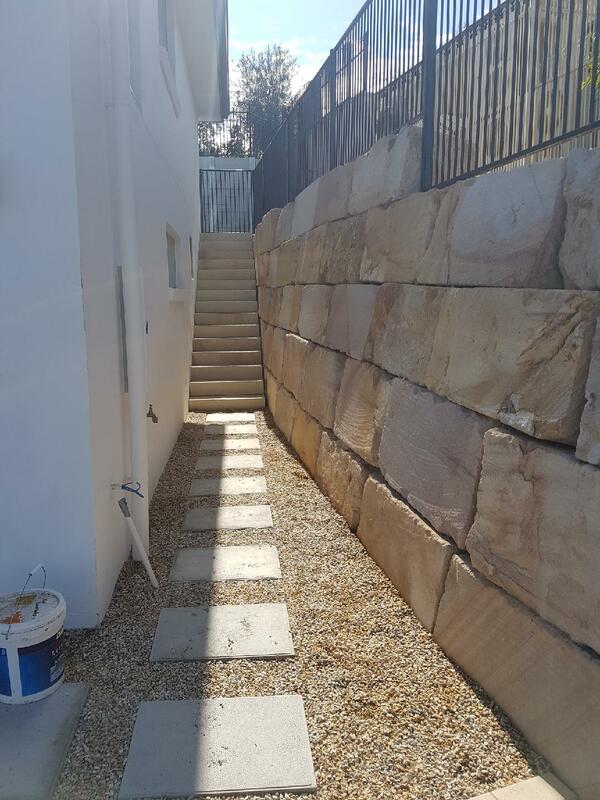 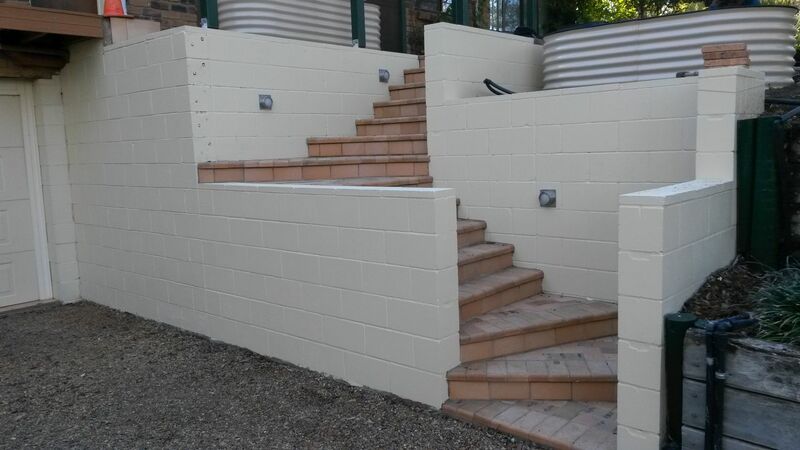 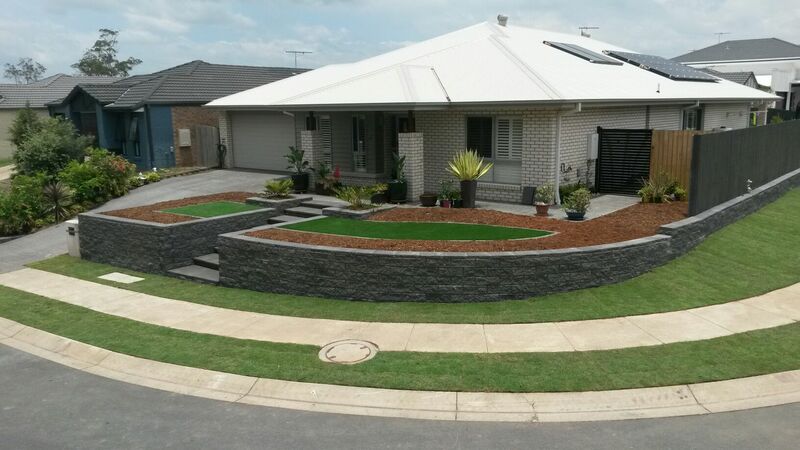 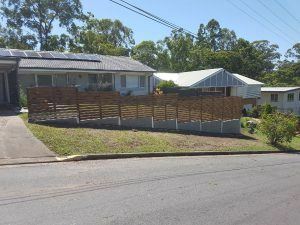 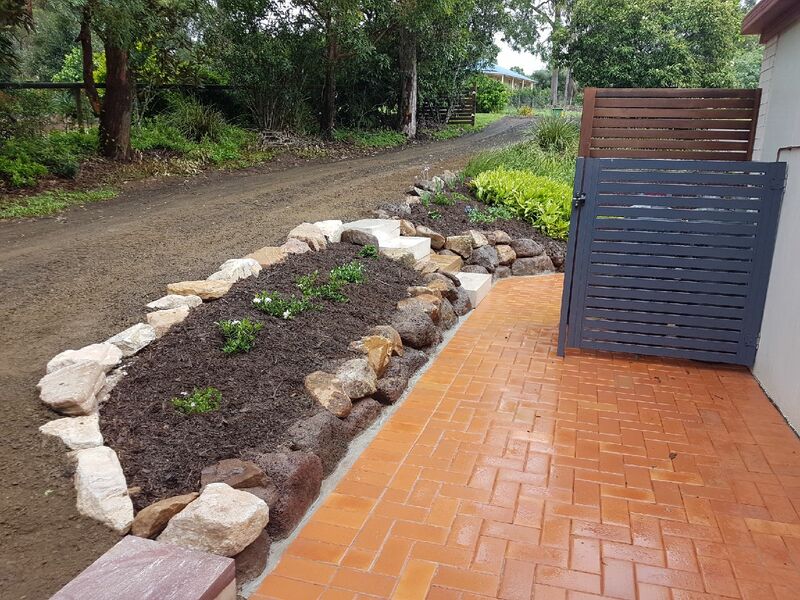 Concrete sleeper with steel uprights, besser block, modern stone block masonry walls, boulder walls – sandstone and natural rock, hand pitched sandstone and blue metal, feature stone walls, gabion walls and of cause the pine and hardwood sleeper walls. 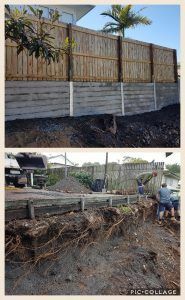 Removal and replacing rotted or fallen walls is a large part of today’s work. 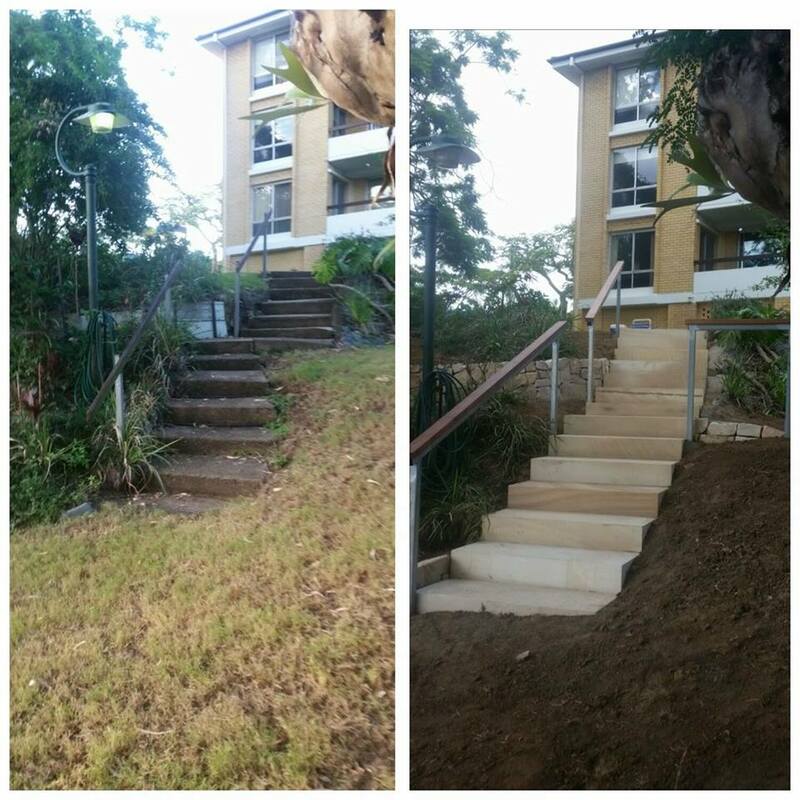 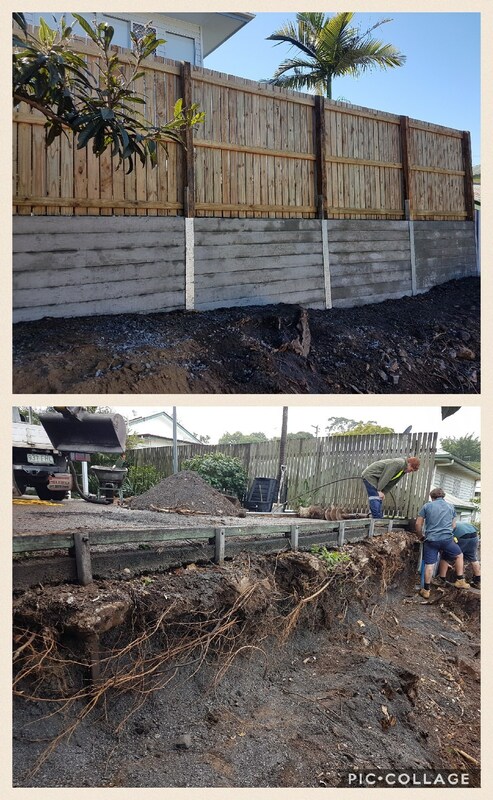 Any wall over one metre may need engineers and council approval and this is all taken care of be work is commenced. Gardens made and contained edging or mowing strips laid. 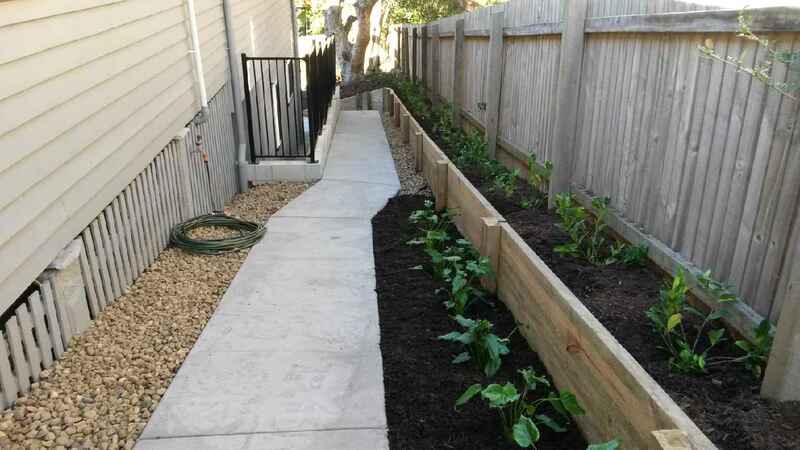 Raised garden beds for the elderly. Mulching beds is essential for your plants and weed control. 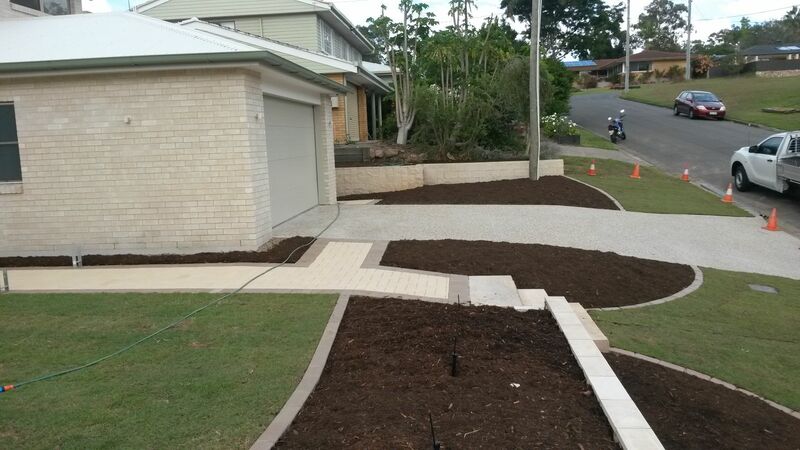 We also re-mulch gardens annually for home owners. 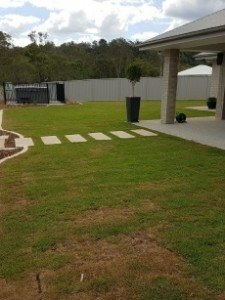 Laying turf using the appropriate grass for the area being turfed. 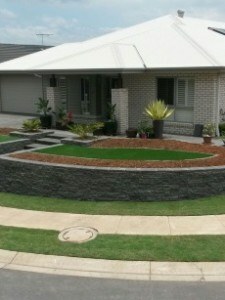 We have many types of grasses to choose from and the right grass is important. Whether it be wet areas take stay damp or flooding from storms or even flooding from the neighbour’s property we have taken care of all off these situations. 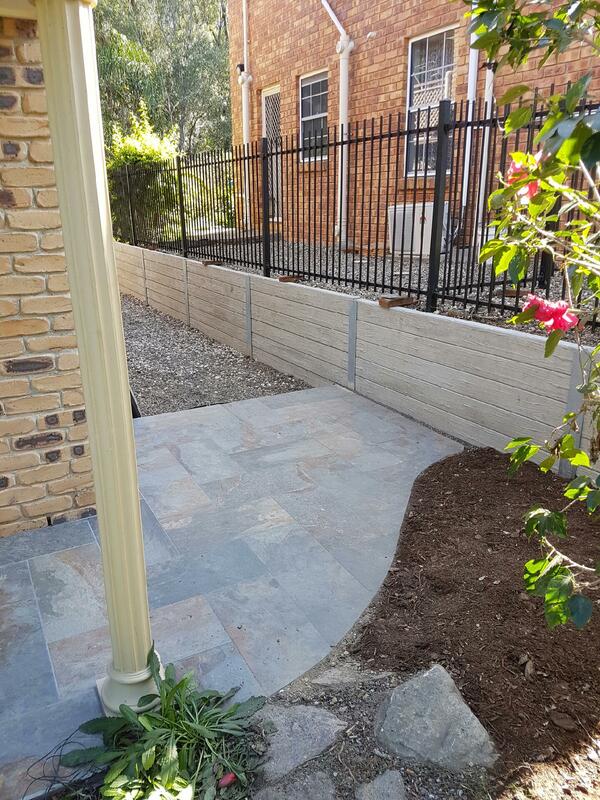 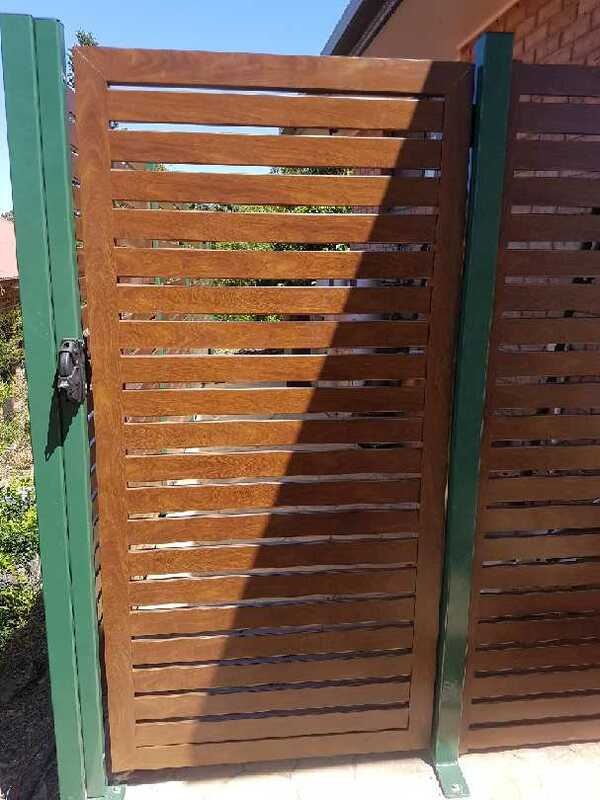 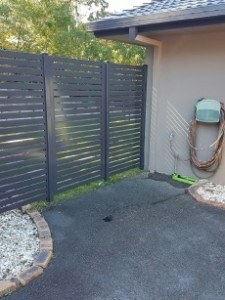 Timber, colorbond, powder coated slat fences and gate, dog wire, copper-log, rendered block. 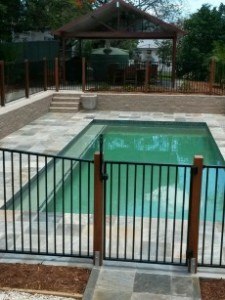 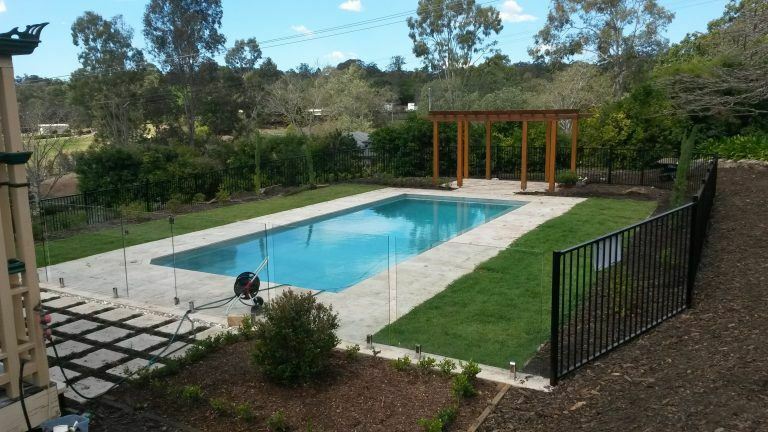 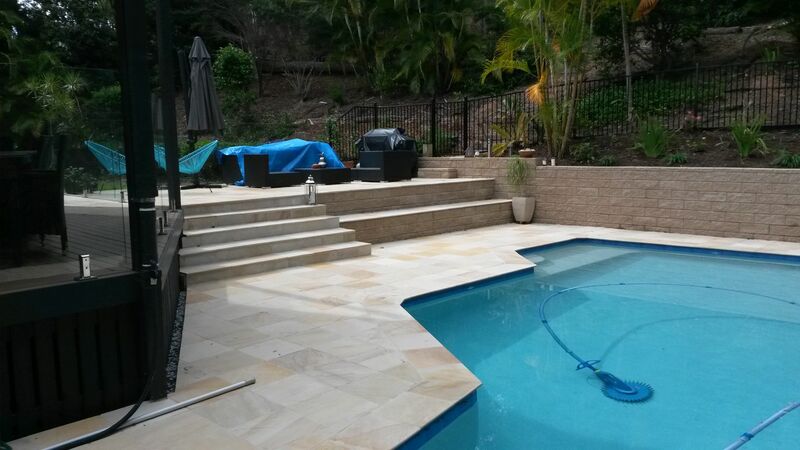 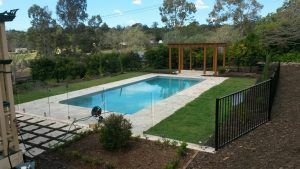 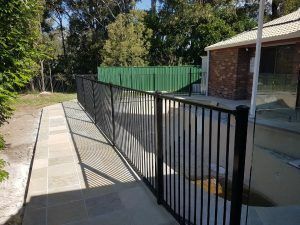 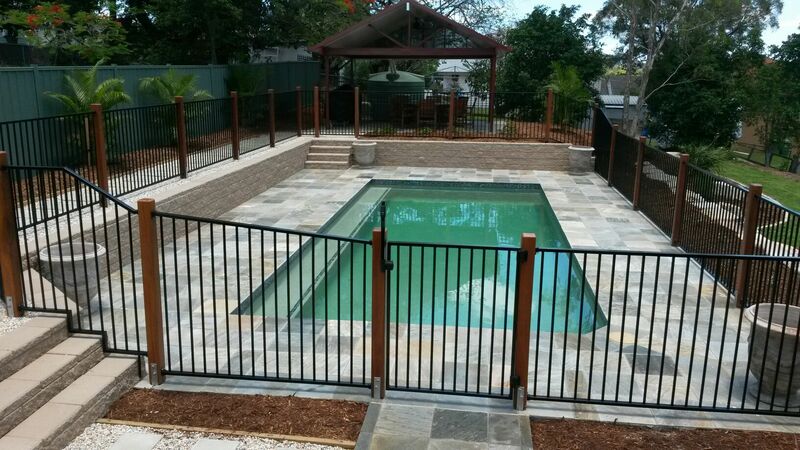 Having been landscaping pools for twenty years pool fencing is our specialty. 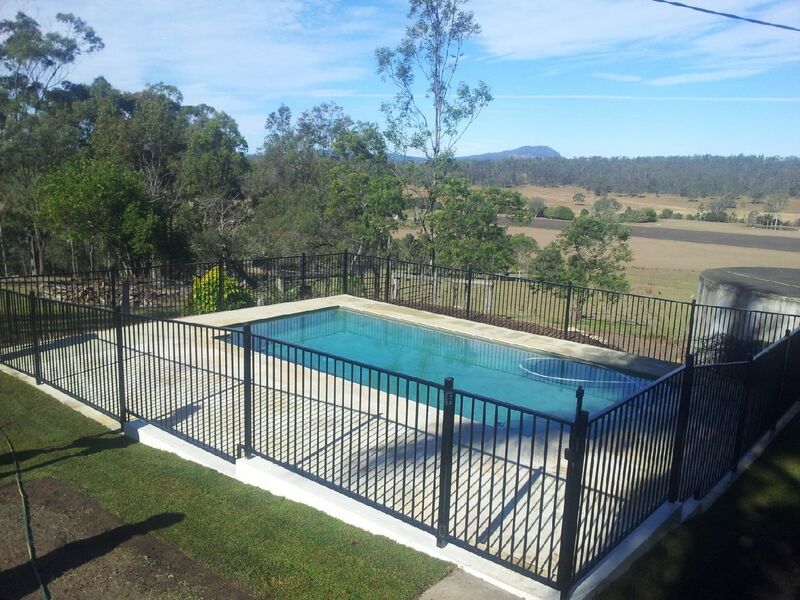 Aluminium powder coated pool fences custom made to suit your situation and Frameless Glass panels and gates. 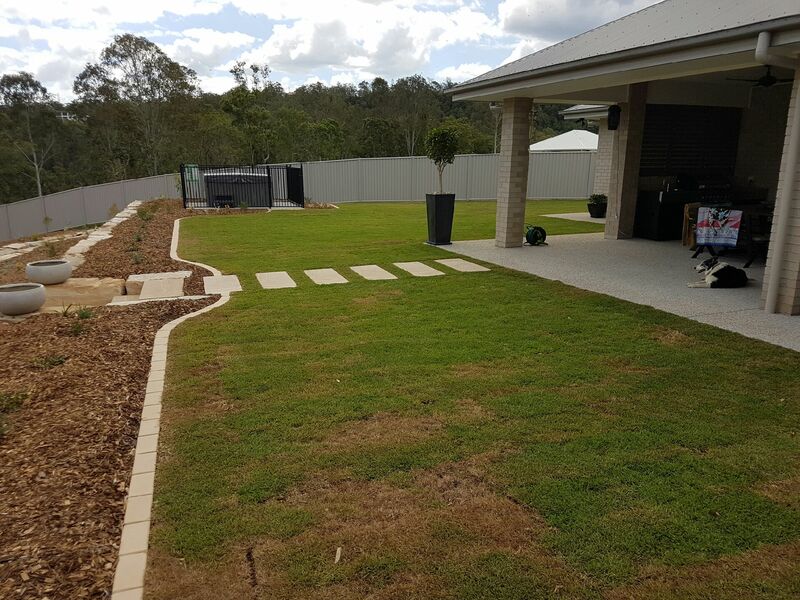 We select all of our own plants from many suppliers’ .Selecting plants to suit the soil type is the key to a good garden so a PH test is also carried out to determine this. 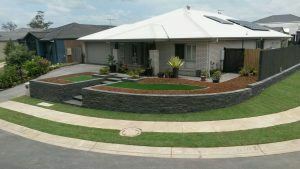 Also full sun or shade plants are taken into consideration. 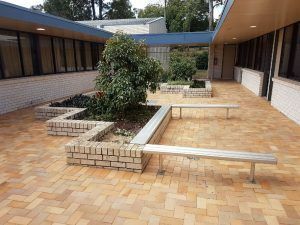 Another point to look at is flowering throughout the year. 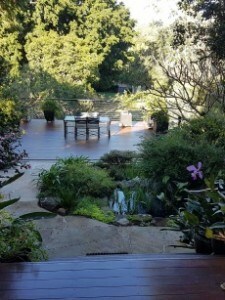 Today’s life style is about entertaining outside. 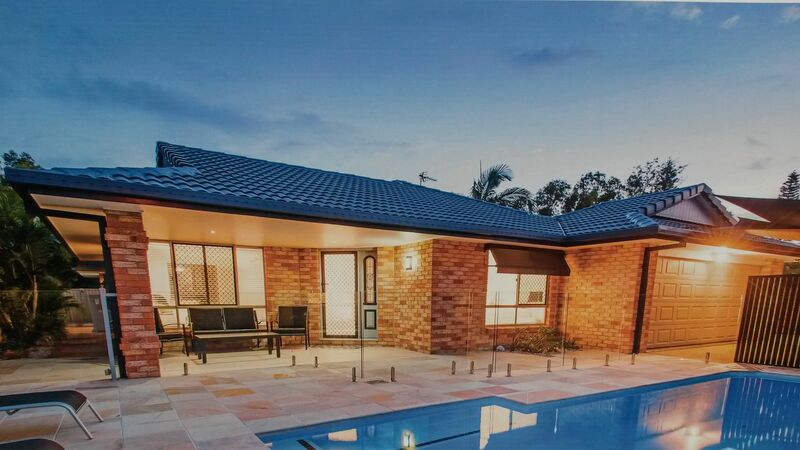 One of our most popular roof covers is the insulated style incorporating down lights and fans and closing the sides above the gutters to stop the rain coming in but allowing the daylight to come through. A lot of the arbors we make are custom made to size and I recommend that we paint them for longevity of life during construction. Steel is very strong and great for heavy plants to grow over. 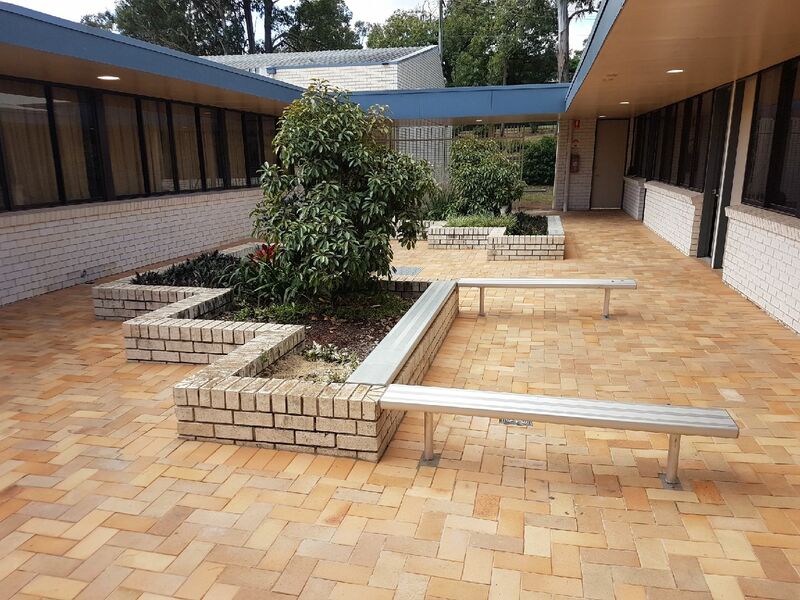 Selecting the right tile or paver is a matter of choice. 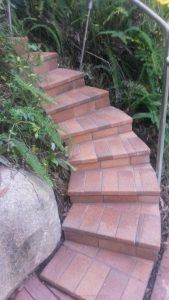 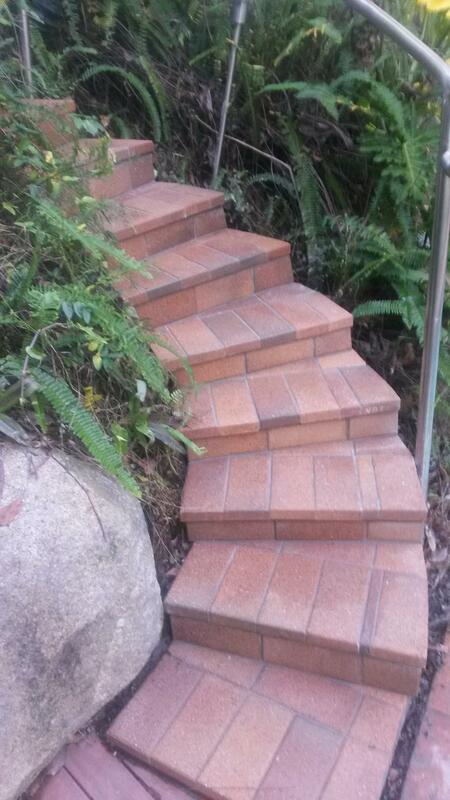 Tiles on concrete are easy to keep clean and pavers make great paths through your garden. 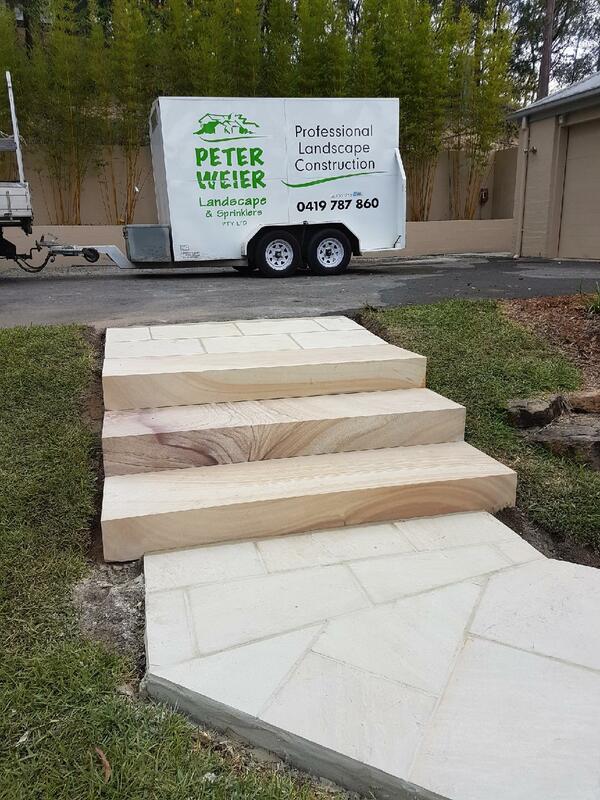 The choice is endless but I like to have my supplier come to your place with a mobile show room and lay the tiles down to see if they work. This saves you the running around. 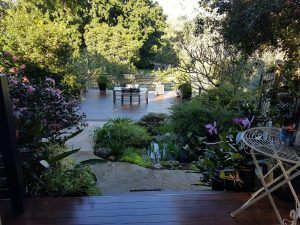 Decking is a great addition to your garden and gives you the ability to have a flat area over a slope where a setting can be placed. Most of our decks are constructed on steel galvanized frames preventing termites and rooting and the floor boards are 140 x 20 timber. 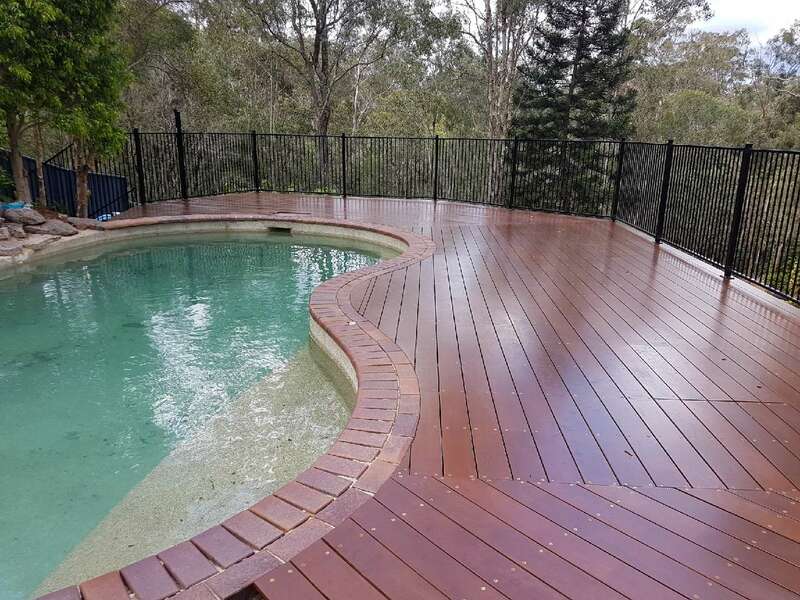 Our timber supplier has a 20 year guarantee if you follow the maintenance schedule. 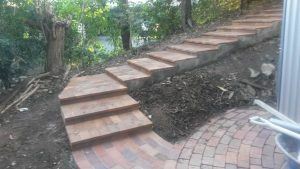 So far results have been good. 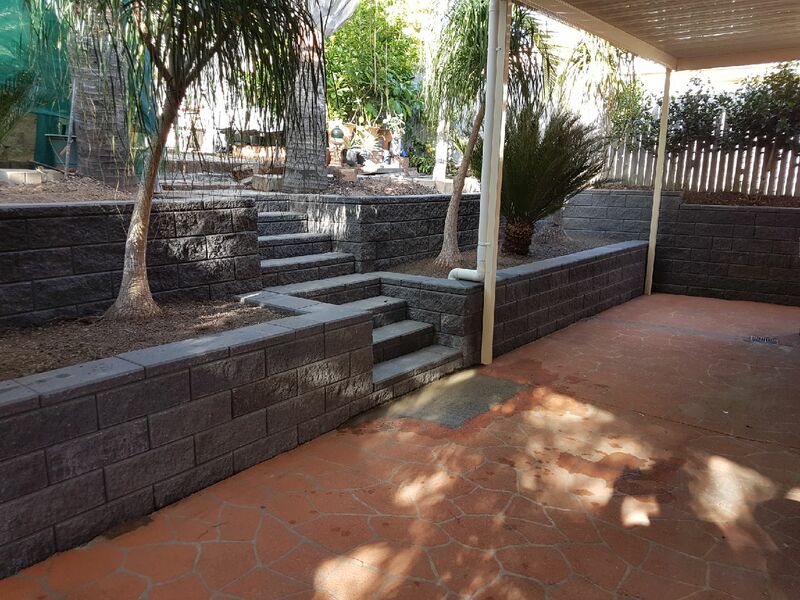 These make great features in your garden and around your entertainment and the choice is endless. 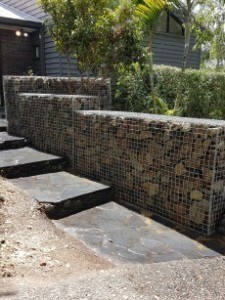 I will advice where a piece might look good but you will have to select something that you like. 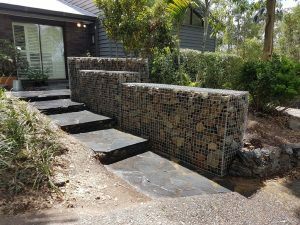 We can and do install water features. 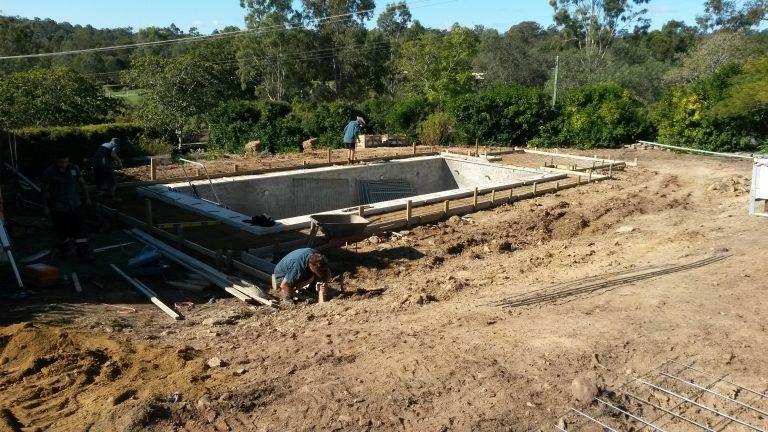 Be careful of the depth of water in the feature or pond. 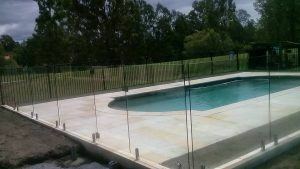 If the water is more than 300mm it will need a mesh over it for safety. Automatic or manual irrigation can be installed to your garden beds and to you lawns. 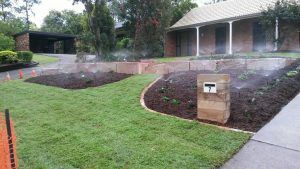 This saves you time from hand watering and your garden will benefit. Automatic controllers are user friendly and allow the plants and lawns to be watered any time. 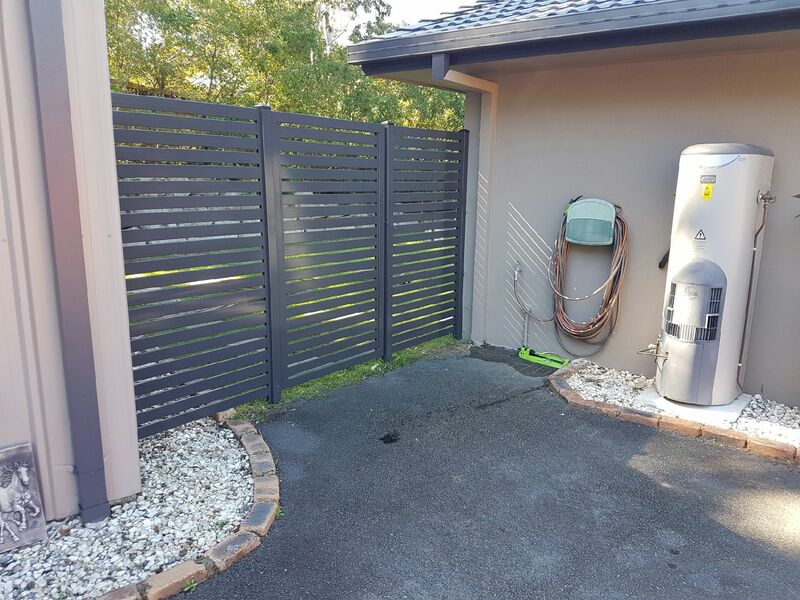 You may have an increased water usage but not excessive. 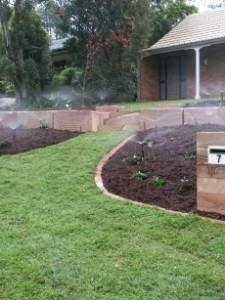 It is important to know that most plants die from overwatering. And during the drought we realized how well our plants do with minimal water. Garden lighting has come a long way with Led lights. 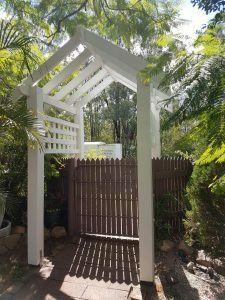 This adds great ambiance to your garden and entertaining area. Great for Christmas and parties. 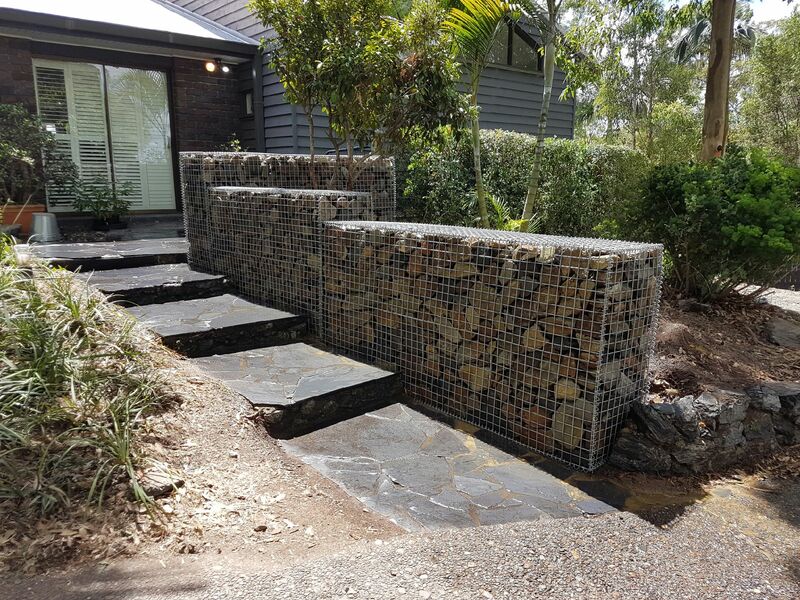 Highlight that tree or your water feature or small bollards along the path. Peter Weier Landscape and Sprinklers Pty Ltd started business in 1996 in the western suburbs of Brisbane and Ipswich. 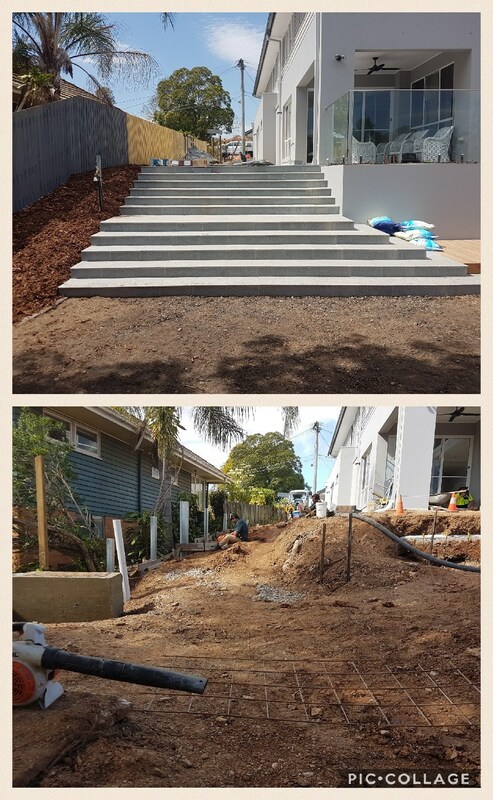 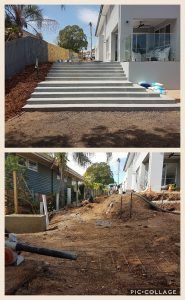 Our focus was the domestic market because of a shortage of landscapers willing to carry out smaller jobs around everyday home owners houses. Another niche filled was priority to turn up on time for quoting a job. One of our major benefits is having the experience and capability to do everything ourselves that is required to carry out a job therefore no other contractors have to be engaged by the home owner. Peter Weier landscape and Sprinklers Pty Ltd is a registered business fully insured, holding a QBCC Licence no. 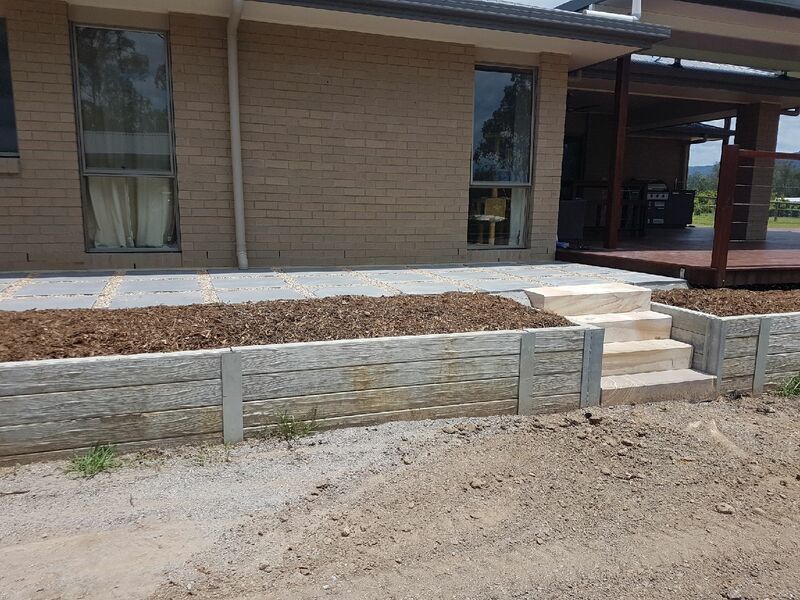 103252 and also a plumbers licence restricted to landscaping RI 19632 essential for irrigation installation. 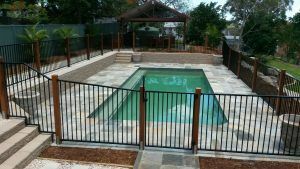 We are a member of Master Builders Queensland. 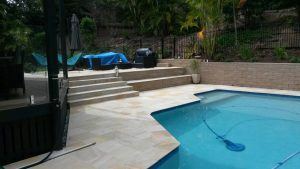 On top of that we have a tiling Licence essential for the trend of todays needs for tiling patios, paths and around pools on concrete. 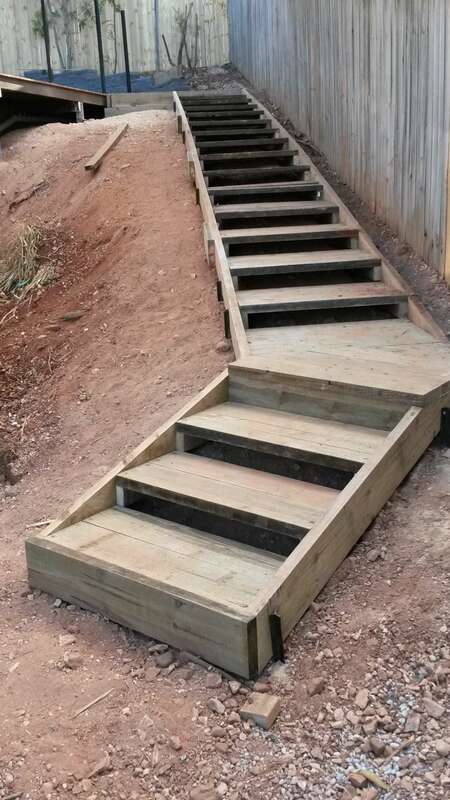 All of our employees are qualified tradesman starting off as apprentices in the company enabling us to maintain the high standard of work that still stands from the start of the business. 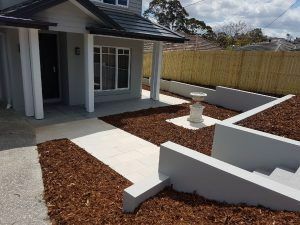 We are firm believers in employing local people with a connection to the area. 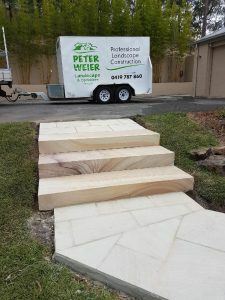 From the beginning quality of work promotes word of mouth and a lot of our jobs are repeat customers and their family and friends. Also we are doing Specialty commercial work in the local area. 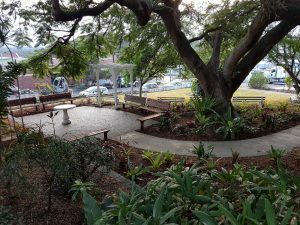 One of these is the memorial gardens at the Ipswich Hospital for the infants that did not live for more 20 weeks. 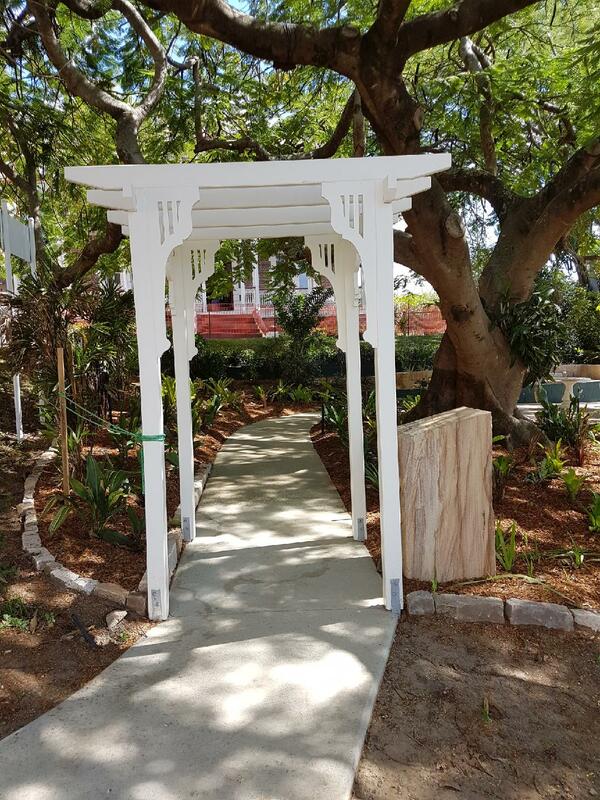 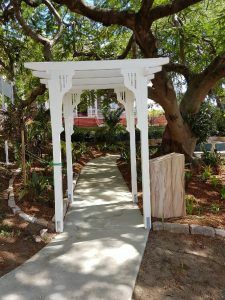 This is the first memorial garden of its kind in Queensland possibly Australia. We also do public and private schools and places of business for professionals EG. 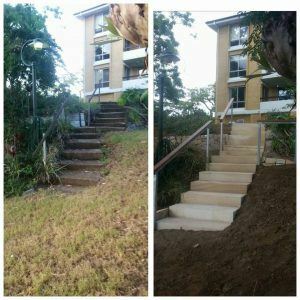 Doctors, dentists etc. 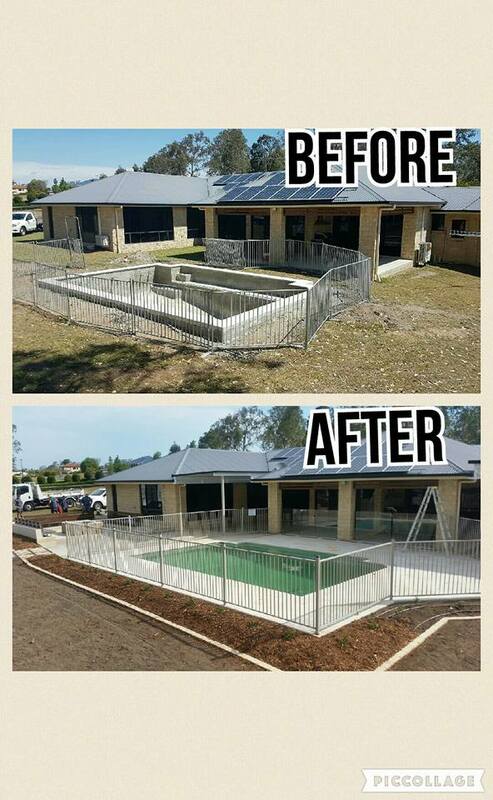 Another achievement is giving back to the local community by supplying our time to help charities at no cost. 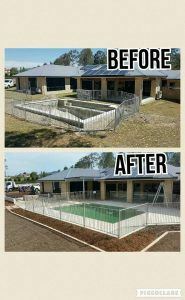 One of these is the McIntyre riding School for the disable.